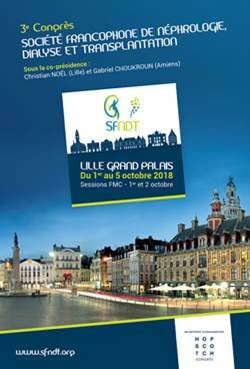 In a project driven by Inserm and the CHU of Toulouse, Bénédicte presented in Lille a novel approach to improve the management of fetuses with developmental renal disease. Using clinical proteomics focusing on amniotic fluid peptides, she showed that high definition, omics based, medicine allows accurate prediction of postnatal renal survival in developmental renal disease, not attainable by the currently available clinical workup. The study was performed in a specifically designed observational prospective multicenter cohort of 178 patients with bilateral CAKUT, the largest prospective cohort ever in this rare disease. This amniotic fluid peptide signature was independently validated in hold-out sets, in geographically different settings, in other developmental non renal (neurologic) disease and in healthy fetuses thereby demonstrating the robust applicability of the signature. Here is the link to a (French) explanation of the study. 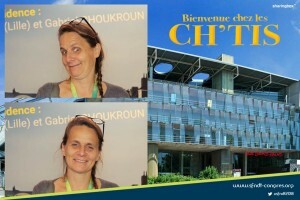 Next Post: Ophélie wins again (!!) the Halloween cake contest.